Trains. Bombs (thousands of them). Shopping malls. Roseville is a delightful city with some fascinating history. Roseville, CA – the city that survived 7,000 bombs exploding in a shipping accident during the Vietnam war era. Roseville gets major street cred for its resilience. What city can boast withstanding such an extreme event? The city’s known for its trains and shopping options. Plus, if you love sunny weather, great education, more laid-back traffic, and exploring the great outdoors, Roseville’s perfect for you! Roseville and Sacramento made Uhaul’s top 10 growth cities list for 2015. That’s based on incoming vs outgoing trucks. Read: It’s growing in size and popularity! Another bonus, Roseville’s close enough to Reno, San Francisco, Tahoe, or Napa that you can make a weekend or day trip easily! Learning the ins and outs of Roseville can seem daunting. But, we put this guide together with you in mind to make your life a bit easier. 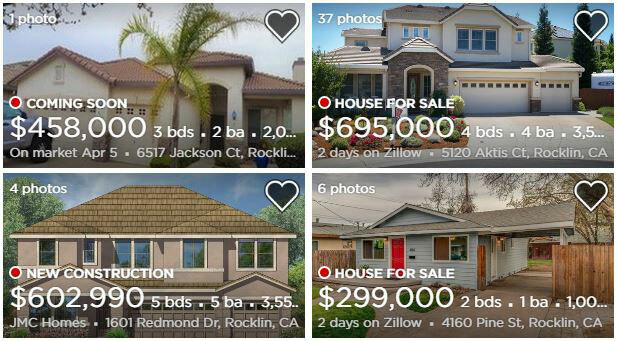 Which Roseville neighborhoods are most affordable? Which neighborhood in Roseville is the best fit for me? How long is the commute in Roseville? How’s the walkability, bikeability, and public transportation in Roseville? Where can I find apartments and houses in Roseville? How much will it cost to move to Roseville? What’s fun to do in Roseville? And if you’re looking for more info on moving to Roseville, check out our Roseville move cost guide. Roseville has a population of 132,671 residents with possibly the most amenities per person compared to surrounding communities. The 2018 average one bedroom apartment rent is $1,362 per month. Considered a wealthier suburb of Sacramento by some, Roseville’s housing and cost of living are a bit higher generally. Top employers include: Kaiser Permanente, Hewlett-Packard, and Union Pacific Railroad. Median household income is $75,867 in Roseville, roughly $20k over the national average. Roseville ranked #11 of the top 25 healthiest cities and #21 of 25 safest cities in the US! Now, let’s take a look at Roseville’s layout, drone style. 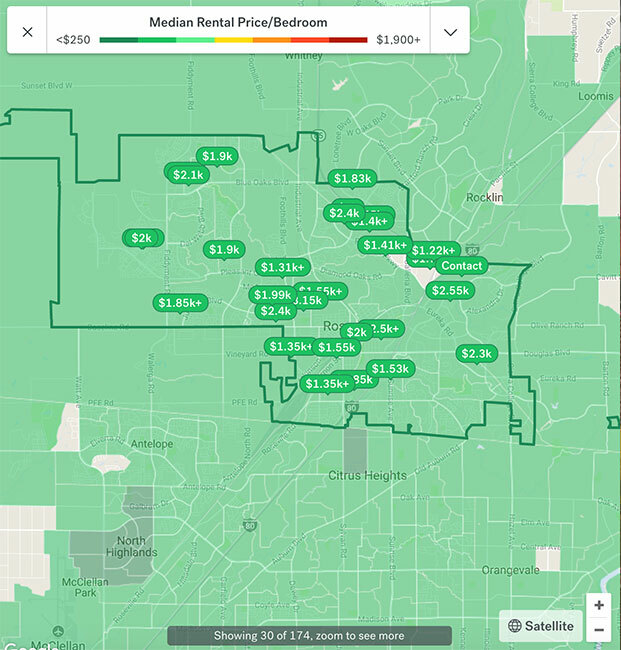 As far as price goes, rent tends to increase near downtown Roseville and north & east Roseville. Rent prices also tend to be higher near nicer parks, country clubs, and major companies or shopping areas. Hello, Galleria Mall. East Roseville, Granite Bay, and Rocklin are some of the most luxurious and expensive areas, with rents in the $1,500 to $2,000 range. Meanwhile, Woodcreek Oaks, Olympus Pointe, and Sierra Gardens fall more in the middle-range with rents falling between $900 and $1,300. And finally, Carmichael, Citrus Heights, and Fair Oaks make up the lower end of the rent spectrum at $750 to $1,100 per month. Yes, price determines a lot in your decision of where to live. But, you’ll also want to factor in neighborhood fit. Ideally, you’ll find one you love. Where can I find people like me living in Roseville? If you want help picturing where you’ll most likely fit in, Esri’s Zip Code Demographics tool can help you out! 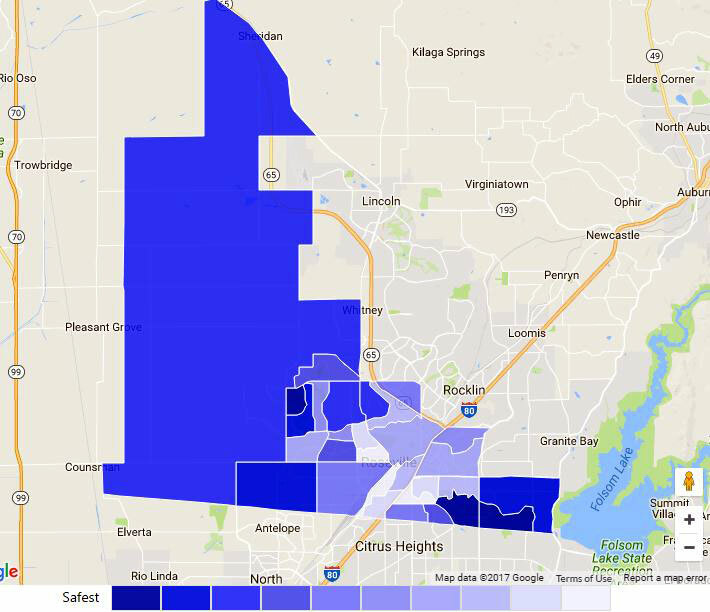 For example, if you entered the zip code 95747 for Roseville, you’d get a breakdown of it’s leading demographic groups. Also, Esri offers info on each zip’s median age and median income. Pretty cool, huh? Lifestyle’s a huge factor in where you’ll want to live. Now that we’ve covered demographics, let’s talk about how you’ll get to work. For Roseville’s sprawling neighborhoods, traffic could definitely be worse. We don’t see Roseville in any of those “25 cities with the worst commute” lists. That’s worth celebrating! What do I need to know about Roseville traffic? Roseville isn’t a huge metro, but commutes can definitely get dicey in certain areas. Why? Usually, the culprit is a lack of multiple lanes. How so? North: the interchange between Highway 65 and I-80 interchange can get pretty messy. With only two lanes, congestion’s basically guaranteed. Also, plenty of Rosevillians commute to Sacramento for work. South: Commutes can last an hour if you’re going from Sac to north Roseville or Rocklin. Plan ahead. However, Roseville’s 26 minute average commute time matches the average for the entire nation. Roseville’s downtown parking options come in handy. There aren’t too many rules here. But, definitely don’t park on any lawns! Hopefully, you’re at least comfortable driving. Ideally, you love it – because Roseville offers minimal public transit options. With a brutal walk score of 36, Roseville’s a car-dependent city. The most walkable Roseville areas are Downtown, Folsom Road, Cherry Glen, and Stanford. BRB – Buses. Roseville. Bikes. 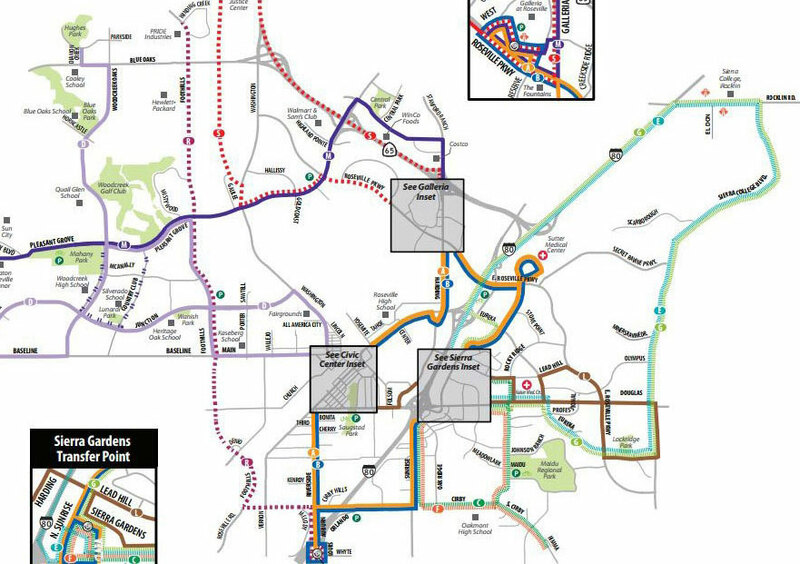 >The Essentials: This city’s mainly served by Roseville Transit, which consists of 12 local bus routes. Connections may be made with the Sacramento Regional Transit line and Placer County Transit for travel to outlying areas. Placer County Transit connects Roseville with the Watt/I-80 light rail station, as well as the cities of Auburn, Lincoln, & Rocklin. Although buses have bike racks, walking and biking as a primary means of transport in Roseville can be a challenge. Check out the local map below for bus routes. Costs: Fares for bus rides vary from $1.50-single fare and $4-daily. A 10-ride pass costs $15 while a 30-day pass costs $58. Now, before you go biking or walking all over the place, let’s talk about crime. What about Crime in Roseville? Crime data are certainly helpful. But before you focus just on numbers, remember to dig into the details & make sure your takeaways are well-informed. NeighborhoodScout’s Roseville crime score – 22 out of 100 – is surprisingly low. 100 is ideal. This sounds bad. Numbers alone, Roseville sounds kinda rough. Fortunately, the majority of crime in Roseville is property crime. Roseville’s violent crime rate of 1.83 per 1,000 residents is less than half of California’s state rate of 4.26. Bottomline: Roseville is a pretty safe place. Now that we’ve covered crime, let’s get into it – apartment hunting! How do I find an apartment in Roseville? Ask yourself first – what accommodations will you need? 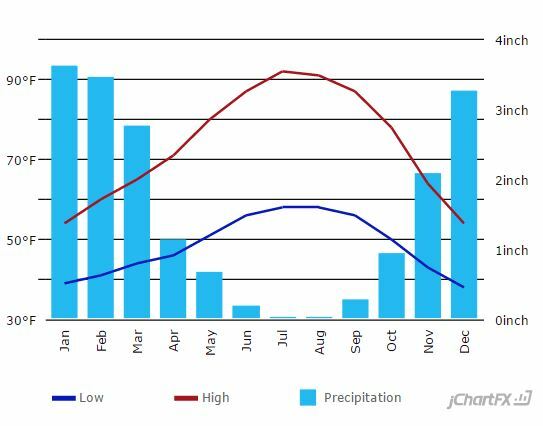 Like most of California, Roseville enjoys plenty of sunny, mild weather. Be advised, summer months can get on the 90s. The lack of humidity is great, but it still gets pretty hot. Lows usually stay in the 30s, though. Air conditioning and heating aren’t 100% necessary but would be advisable. You’ll want to think about the cost of utilities like your average water bill when budgeting for apartment rentals too. Because public transit is spotty, finding an apartment with a washer/dryer would probably be wise as well. Resources for your apartment hunt! Finding an apartment in Roseville shouldn’t be too difficult for you. However, give yourself as many options as possible. Below, we’ve put together some helpful sites for finding your new home. The average rent increased by 2.65% between 2017 and 2018 (versus the 0.4% decrease experienced across the nation), rental costs are still high compared to much of the country. Rosville’s vacancy rate listed here weighed in at 4.55% compared to the US’s 5.85%. However, they’re better than the state’s 3.33% average. California’s a desirable place to live and scammers may take advantage of your eagerness to move there. Check the links below to ideally help you avoid any shady landlords. The median home value in Roseville $416,400. Zillow gives it a 9.4 out of 10 for real estate market health. As we said earlier, cost of living’s somewhat higher here compared to Sacramento. Consider all your options carefully while you decide where to settle. Here are a couple of nearby areas you might enjoy. For a more extensive neighborhood list, check out these Roseville neighborhoods. Nestled in northern Roseville, Pleasant Grove features lots of new homes. Also, there are many gated communities, an active local community, and close-by attractions like the Galleria Mall. The median home value in Pleasant Grove is $509,900 vs $416,400 for Roseville. To the northeast of Roseville, Rocklin rests along I-80. 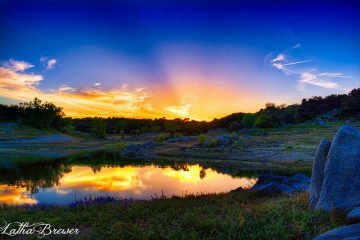 Home to wealthy communities, this “neighborhood” offers the chance to relax outdoors at Quarry Park (great for concerts and events). Also, for you techies, Rocklin’s home to the Rocklin hacker lab for coworking, learning, and use as a makerspace and hackerspace. The median home value in Rocklin is $443,600 vs $416,400 for Roseville. You’re almost ready to move to Roseville! What’s left? Use our moving cost calculator to estimate your moving costs to Roseville. For out of state movers, check out our state to state moving guide for more great tips. Most areas should be a breeze for you when it comes to parking your moving truck. However, do keep in mind that Roseville has some hilly areas. Also, certain areas require parking permits. Way to go! You’re now slightly evil since you’re a Rosevillain. Or Rosevillian. Use whichever you like. Here are the major items to cross off that to-do list once you move so you can really relax. Voter Registration: Make your voice heard by registering to vote! Driver’s License: Since you’ll need to drive here, be sure to update your driver’s license. Out of State Vehicle Registration: Along those same lines, you’ll also need to get your plates switched over. Trash and Recycling: Waste management info can be found here for all your trash and recycling needs. Make New Friends & Network: Check out Roseville’s Meetups to find like-minded people in town. There’s also r/Roseville, where you can connect with people and stay informed about Roseville. Consider joining a sports league in Roseville too! 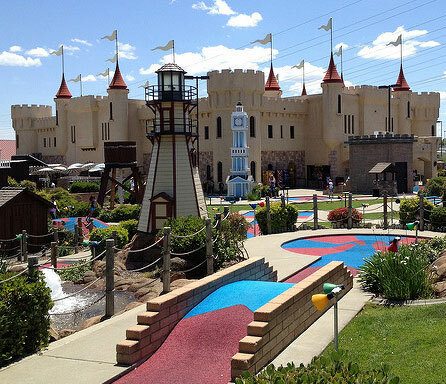 Being part of the Sacramento metro area, Roseville has plenty of options for activities. That means outdoor enthusiasts or laid-back pub patrons can each find something to their liking. If you’ve got an itch for the outdoors, journey to nearby Folsom Lake. If you’ve got an itch from something outdoors, “journey” to see your doctor. There are a mix of popular spots like Miners Ravine and several gaming centers in Roseville. Scratch your shopping itch at Roseville’s massive Galleria Mall. Or, if you’re trying to beat the heat, visit Goldland Sunsplash. What about a night out in Roseville? There are many great bars, but we’ll recommend The Monk’s Cellar, Final Gravity, Yardhouse and The Glass Turtle as excellent starting points. Explore others as you settle in more! 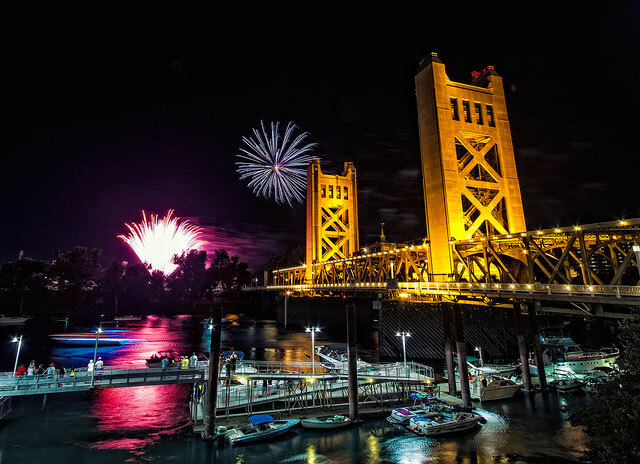 While there’s plenty to do in nearby Sacramento, noteworthy touristy stops include The Capitol Museum and The Sacramento Zoo. If you’re thinking California’s right for you, but you love having options, read our guides on Moving to Oakland and Moving to San Francisco. Note: Roseville’s a steal in terms of price compared to these two.